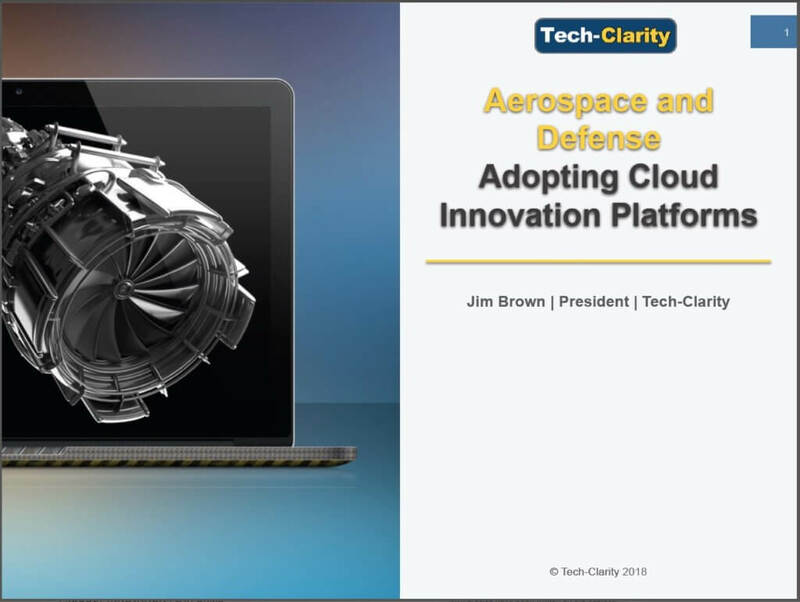 How can Aerospace and Defense companies leverage the cloud to improve innovation, engineering, and manufacturing across the product lifecycle? We surveyed over 250 companies and analyzed the progress, plans, and success factors for supporting product innovation with cloud solutions of over 70 of these companies that serve the A&D industry. The research analyzes both challenges faced and benefits achieved by A&D companies using cloud-based applications. The eBook shares implementation, adoption, operational, and business benefits of cloud systems and how they impact today’s digital A&D manufacturer. The report also touches on some specific topics including the use of cloud standards and audits to help mitigate security risk and how cloud platforms enable value-added services in the context of innovation tasks. Please enjoy the summary below for no charge. For the full report, please visit our sponsor Dassault Systèmes (no charge, registration required). 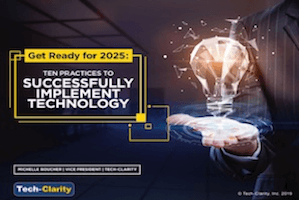 You can also watch our Tech-Clarity TV episode sharing the research highlights here. Before talking about the evolution to the cloud, it’s important to understand how software for product innovation, engineering, and manufacturing has evolved. 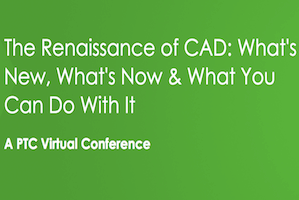 CAD and other engineering software tools have allowed Aerospace and Defense (A&D) companies to design products that were previously unachievable. They have evolved to model and simulate new materials, advanced manufacturing methods, and multiple aspects of products to more accurately predict behavior. Engineering tools are integrated with data and process management solutions that support products, processes, and programs. These product lifecycle tools have evolved to support a broader view of the product and support a wider range of processes ranging from ideation to certification. Now, the move to the digital enterprise demands more. Software systems must support a more fully integrated approach, enable data-driven design, and support model-based systems engineering. 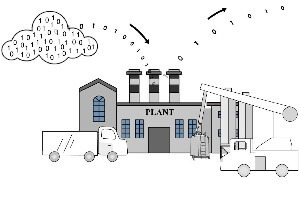 They have to encourage real-time collaboration across disciplines and the supply chain, and support digital continuity where different domains contribute their design perspectives into a comprehensive, cohesive product model. This is the Product Innovation Platform (PIP), which creates a comprehensive digital thread, supports a cohesive digital twin, and breaks the paradigm of disparate, file-based systems. And, it’s moving to the cloud. 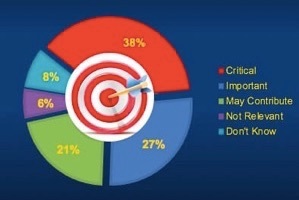 Given that, we conducted a survey to find out how manufacturers are approaching the cloud opportunity. We gathered over 250 survey responses from manufacturing and engineering services firms, and took a closer look at approximately 70 of them that serve the A&D industry. Let’s take a look! 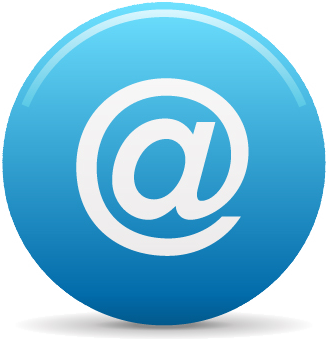 Views on the cloud change when related to the PIP. We asked companies about their views on software to support the product lifecycle including CAD, ALM, EDA, CAM, simulation, PDM, PLM, MES / MOM, product analytics, or other related solutions – effectively the components of the PIP. 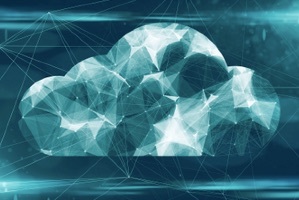 About one-quarter of A&D companies indicate that they use the cloud for some elements of the PIP, and about another one-quarter are implementing, planning to implement, or researching the cloud opportunity. But A&D companies also need to reduce cost. PIP capabilities can deliver on this need, and cloud deployments can further reduce cost even further. Cloud has value, but A&D companies face a number of challenges when implementing it, including security, performance, and availability. These are important concerns that should be addressed through SLAs, standards, and audit procedures. It’s important to understand, though, that in many ways cloud deployments actually help with these aspects by offering shared services with dedicated specialists. The cloud also provides unique opportunities not available with traditional implementations. These include instant scalability, “elastic” computing power, and the valued-added services capability viewed very favorably by survey respondents. 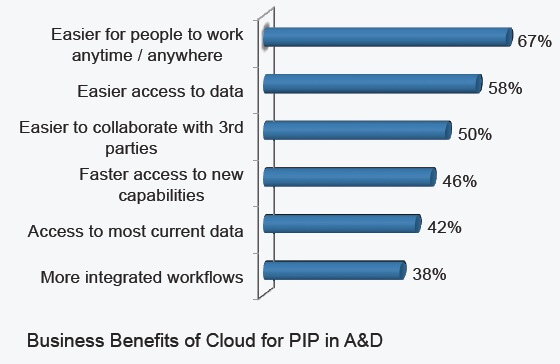 A&D has been using the cloud for some time, and are generally open to the cloud, but they’re mixed on the use of cloud for PIP capabilities. This is especially true for suppliers, who are perhaps waiting for the OK from the majority of their OEMs. These views may change with better education about standards and audit processes. Cloud benefits are available, and they’re compelling. Today’s highly capable solutions are bringing the power of mature PIP capabilities with cloud benefits. We expect to see usage continue to grow, although cautiously.